Thü's Audiophile Magazine - what makes a good classical music hifi recording? For as long as I can remember, the reproduction of perfect sound in my home has always been important to me. It started when I was a kid, firstly with movie soundtracks and then moved on to the great orchestral works of Bruckner, Holst, Shostakovich, Mahler... I could not get enough of the heavy sound despite the rather mediocre equipment which was available to me in the 70's. Thü was the art director of Macworld Magazine and Computerworld Newspaper for many years in the 90’s and later became a freelance illustrator and editor for Macwelt Magazine, Germany. His experience in the field comes from decades of creating multimedia content and writing reviews and tutorials about design, recording and audio equipment. He also has a small mobile recording studio and frequently produces recordings for ensembles and orchestras. In 2003, my first real Hi-Fi loudspeakers – the Visaton Solo100, with an exquisite single full range driver in the cabinet which I built myself. I've always played an instrument including the piano, French horn, timpani or conducted classical ensembles. Listening to instruments from close to and from within the orchestra is the usual perspective for me. Maybe because of that, I never became a frequent concert visitor; it's not the same from a distance. This is why I find Hi-Fi so fascinating: it lets me hear the instruments up close as I am used to do. That's what audiophile is all about: not just melody and rythm, but the quality of the sound itself and the equipment that can (re)produce it. 1) An orchestra that can play precisely and with the correct intonation under a conductor who interprets the work to your liking (tempi, expression, dynamics, etc), played in a room with the acoustics to match the style of the musical piece. 2) A high-quality recording technique that captures the fine detail of the instruments’ sounds with microphones that don't get overstrained at the orchestra’s highest dynamics but still catch any whisper in the pianissimos. Maintaining a good stage image with a balanced presence of the different instruments. 3) On the listener’s part: A high-quality uncompressed copy of the recording and proper Hi-Fi equipment: high quality DAC, amp and loudspeakers to play it on. The most important of these three is the loudspeakers. Buy the best ones you can afford and select their placement carefully in order to avoid too much interference from your room's acoustics. Unfortunately, I had to leave the Solo100 behind when I moved, so, some time later I built the Topas from Visaton. Because of a somewhat limited low range, the Visaton Topas does not cope very well with a big orchestral sound, so generally with these, I mainly listened to ensemble records. That was what lead me to my current equipment. It is relatively easy to find good recordings of small ensembles that will even satisfy audiophiles’ expectations. I myself am able to produce those with my stereo pair of large diaphragm condenser microphones. But, recording a big symphonic orchestra is something entirely different. It is probably the most difficult task there is for recording engineers. Not only do they have to achieve clarity in a big room, the sources of the sounds are also wide spread. And yet, they should be well balanced, so that in group play the instruments close to the microphones aren’t overemphasized but then when playing a solo, a specific instrument has to be able to accentuate. What I am looking for in a record is the transparency of an ensemble recording but from a big orchestra - and there are really few recordings which have achieved a close enough approximation to that. Of course, then what you hear is not the traditional idea of the "orchestra in your living-room", this is more like "sitting inside the orchestra" (but without the trumpets and trombones smashing directly into your ears of course). Once such a good recording has been made, you have to get your copy of it. Some prefer an analogue version like a vinyl record but most people are used to a digital format on CD or as a file download. I am limiting all my reviews here to the digital format because the analogue really isn't my area of expertise. However, I always recommend getting uncompressed audio, be it on CD or from a file. Some people deny that uncompressed audio deliver a perceptible advantage over standard mp3 or the like. I have put this to the test and I can say, it really does make a difference on Hi-Fi equipment. When I compress a pop song into 128kbit/s mp3, it is difficult to tell it apart from the one with 44.1kHz/16bit CD quality, while with a lower 64kbit/s compression it's evident. When I do the same with an orchestral piece from a Bruckner symphony, for some peoples ears there is loss of lucidity at 256kbit but at 128kbit it becomes so distorted anyone can hear the difference instantly. This is the same effect that happens with video compression: Portraits or a scene walking on the beach may be smooth and sharp but when you film a field of grass moving in the wind – still with the same compression quality – suddenly all becomes distorted and fragmented, at that moment it is just too much detail for the compression algorithm. So, if you try to make the blind-test without knowing which is a compressed and which a lossless audio file, you may not be able to tell the difference at any moment, depending on the music type and musical moment you are listening to. But if the original recording was precise enough, it will be most obvious while a mix of instruments produces very complex sound waves, like different sections of a large orchestra playing fast patterns loud. A compression that results in a loss that can be noticed on Classical Music or Jazz may still be good enough for simple music like Pop where no difference may be heard at all. This is why it is so difficult to decide on buying a classical music record online, because the samples offered from vendors are compressed. You only hear the real quality after you got the lossless audio files. Of course, you can always try buying just the one, for the same movement from each record for comparison. But, quite often some can’t be bought individually and chances are it just doesn’t include the ones you wanted or individual tracks cost nearly as much as the whole record. Well, I don't think that 20$ or even 50$ is too much to ask for a really perfect audiophile record. But when you have to buy several records before you find the best one, the journey becomes quite an expensive one. 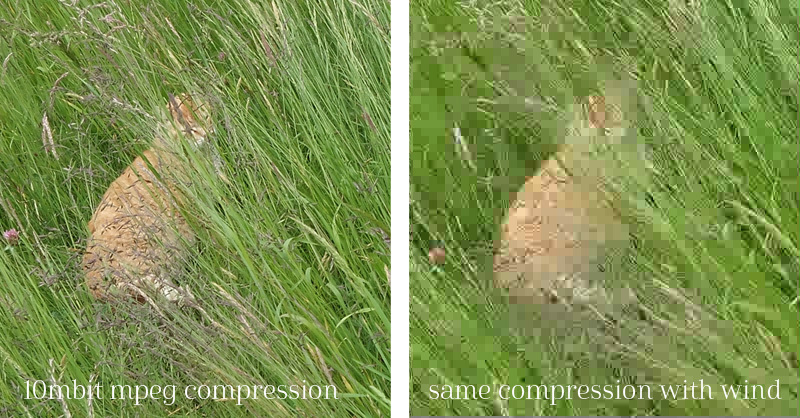 The differences of lossless and compressed. You can see here exactly the same excerpt of the left channel from each of the two music pieces. Despite their being the exact same sample, the compressed "Klassik" looks totally different from the original because so much detail is lost. At 128kbit it becomes so distorted, anyone can hear it. The compressed "Pop" sample does not look so much different to the uncompressed. At 128kbit the difference is hard to hear but is obvious at 64kbit. 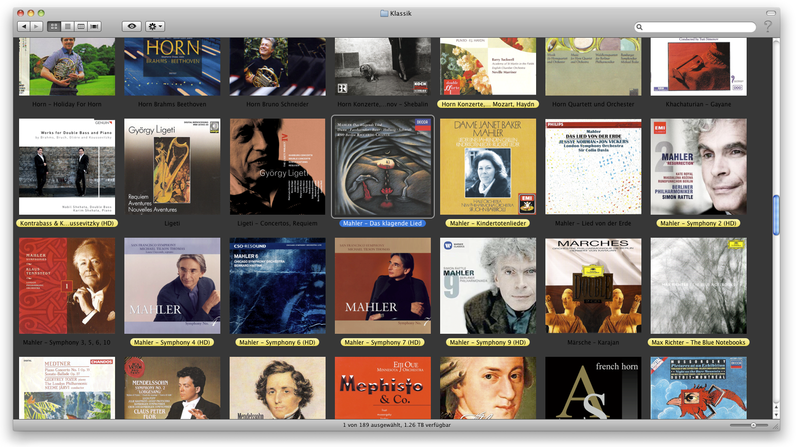 Obviously, critics of the lossless debate are not into orchestral music. Sound waves of natural instruments, especially in large groups, are so complex and rich in detail that they really lose a lot and get distorted with compression. Whereas, electronic music like pop, rock etc., don't have so much detail that could be lost. In addition to this, small ensembles or single instruments are easier to compress with acceptable quality. However, you cannot listen to sounds side by side and compare them, like you can viewing images. If this were possible, you would hear the differences between mp3 with 256kbit/s and uncompressed 48kHz/24bit sound clearly. In fact, listening parts of musical pieces one after another leaves a lot to the subliminal. But in the end, what counts is only that you like what you hear. When it is such a joy you can hardly bear to stop listening, when it fondles your ear with repeatedly surprising sensations so you can almost feel how the strings vibrate under the bow and when the instruments practically lie in the air in front of you, then it is a good recording. For myself, I know I have a good recording when I stop bothering if this couldn't sound better on another recording, when I start to loose myself within the sound experience and just relax. You wouldn’t really expect such sensations from a pop or rock song. They contain too many electronic instruments and special effects and are often recorded from loudspeakers and mixed for the masses of consumers in order to obtain striking, non-demanding sound even with poor to average equipment. This is not for the audiophile. What is that thing about HiRes audio? High resolution audio means there is more data present to describe the audio waves then a CD usually has. It's like the pixels of an image where KHz is the amount of pixels for the x-axis (resolution in time) and Bit is the amount of pixels in the y-axis (wave amplitude resolution). Both together form the "image" of the sound waves. A CD has 44,1 KHz, which means 44'100 samples per second, and 16-bit means over 65'000 steps for the amplitude. Logically, the higher KHz and Bits are, the more detail and precision the waves have. Advertisements praise the high dynamic range of HiRes audio and some people understand this as "more extremes", "more loudness" or "more decibel". But that's intended wrong suggestion of course. Sound can never be more then a 100% of amplitude and loudness extremes are only made by the amplificator's power. HiRes simply means there are more finer steps within time and within amplitude. This may contribute to a richer sound under certain circumstances depending the kind of music, its recording quality and the quality of the reproducing equipment. But that the listener really notices a difference between a best possible CD record and its HiRes counterpart has not been proven conclusively as far as I know. Here again, it depends on the circumstances. Sure is, remastering old, badly sounding records and issuing them in HiRes does not make them sound better then they could on CD. My current equipment and the first Hi-Fi loudspeakers I did not build myself: the Tannoy Revolution xt8f. The DAC and the amp is a Marantz HD-AMP1. And they do not disappoint; it doesn't matter what I throw at them, I have yet to discover any weakness. I chose my actual equipment based on audio data delivery via my Macbook, no CD player needed. Most of my files are uncompressed FLAC with 44,1kHz/16bit or better. I used to play my records with an app called Vox that initially was very simple. Up to this point, I had always found that HiRes audio (like 96kHz/24bit) did not sound any better than normal CD quality audio. Until I tried out alternatives to Vox and to my surprise, suddenly HiRes audio sounded distinctively better then before. The difference seems subtle but it is often just that tiny bit of detail that lets the sound breathe and come alive. That's how I discovered that Vox, iTunes and other standard player applications, even with resampling and other options deactivated, do not really deliver the original audio-data directly to the external equipment but go through the OSX Core Audio framework (or something similar on Windows) to eventually mingle with audio from other applications. So, I am using Decibel or Audirvana now, which can be set to circumvent the system’s core audio and deliver directly to the DAC (in what's called integer, exclusive or hog mode). Attention: If you play my HiRes samples and think "why does he praise this so much, it doesn’t sound any better or is perhaps even less good" then chances are that you are sending the audio stream through the system's resampling - this will certainly be so when playing my samples directly from the browser. There seems to be no way how to get audio in hog mode from a browser, but maybe change your systems audio settings (on Mac in Audio-Midi Setup) to a higher sampling rate. 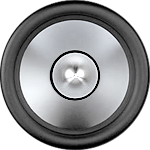 It is also possible that your loudspeakers or headphones are simply not good enough. 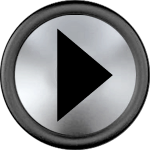 Next comes the way in which digital audio data gets delivered from the computer to the DAC. I have always preferred an optical fibre connection to prevent any electrical interference from the computer. But, I am using USB now, because my DAC offers higher sampling rates for that input port. Once the data stream leaves the computer unaltered, the DAC converts the digital data into an analogue signal. Usually the computer’s integrated DAC does a good job creating an analogue signal for everyday use, but it is still far from the quality a dedicated DAC can produce. That signal is then amplified and sent to the loudspeakers. I am happy that I found a high-quality amp that possesses its own DAC. They are perfectly coordinated with each other and spare me the hassle of dealing with even more cables and connections. Loudspeaker cables are another hot topic amongst audiophiles. I never tried to see if fancy and expensive cables make a difference, but I am sure tiny thin wires are of little advantage, so I prefer something really thick, just to be sure. Since I copied all my compact discs on to my laptop's hard disks and have only bought downloads ever since, my music collection is entirely stored and organized in folders. I never cared for ID tags, iTunes, libraries or the like. Why struggle with an additional, complicated, invisible organizing system, when the folder and file structure is already there and has to be used anyway? But, as visual attraction is also important to me, after years of looking at plain folder lists, I missed the impression a cover of an album or compact disc gives to a record. I began to carefully set cover images on each album folder and arranged the view accordingly. Now, the reason as to how I came to producing this magazine and writing record reviews is that it became quite difficult to find good enough records for my super Hi-Fi equipment. Unfortunately, not many reviews in other classical magazines mention the audio recording quality. And then, one would think nowadays it has become so easy to compare different recordings online. You do not have to walk miles anymore, to find a record shop that has a large enough collection. But even online shops with high resolution audio only offer samples with compressed audio files and on high fidelity equipment, this does make a big difference. You may compare these samples regarding the interpretation of a work, but not for audio quality – therefore, only after the purchase of the HiRes audio file will you know how it really sounds. And, I got picky, especially with Holst, Bruckner, Mahler, Dvorak and Rachmaninov and spent a fortune on records that had been well reviewed but then resulted in sounding disappointing. Due to this, the idea of a review magazine, recommending the particular recordings of certain works in the best audio quality, was born. Note: Initially I had short audio samples from all of the compared records online, but due to copyright uncertainties I had to take them down, except for those recommended ones I was able to contact the label and get specific permission. It should be clear that such examples are generally allowed under citation right, and they are also free advertisement for the labels. But with the pressure the entertainment industry has on politicians and lawmakers, nowadays no lawyer or intellectual property specialist dares to give a clear statement and warranty that this does not lead into legal troubles. Sad times for artists, fans and customers. Too bad the samples are offline now. I hope you can get them back. I am trying to contact the copyright holders but so far only SFS Media has responded and given permission for the Mahler record. Regarding the browser playback problem (audio goes through system audio core and not directly to the DAC) maybe you let me know if you need a possibility to download the samples so you can play them with your own player that supports hog mode.